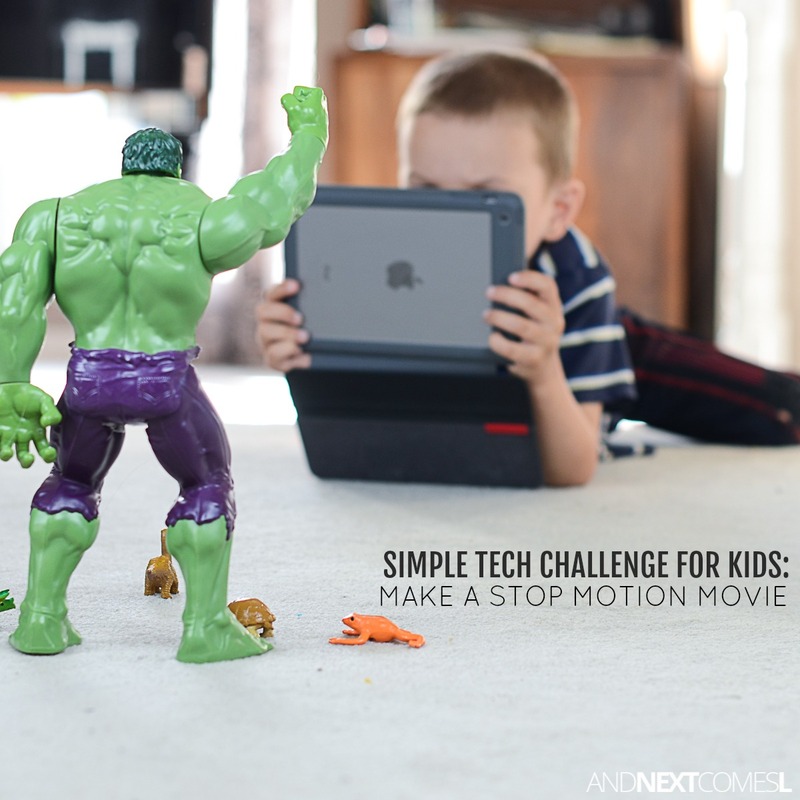 Find out how to teach your kids how to make their own stop motion movies. In addition to K's interest in photography, both him and J have developed an interest in making their own videos as well. 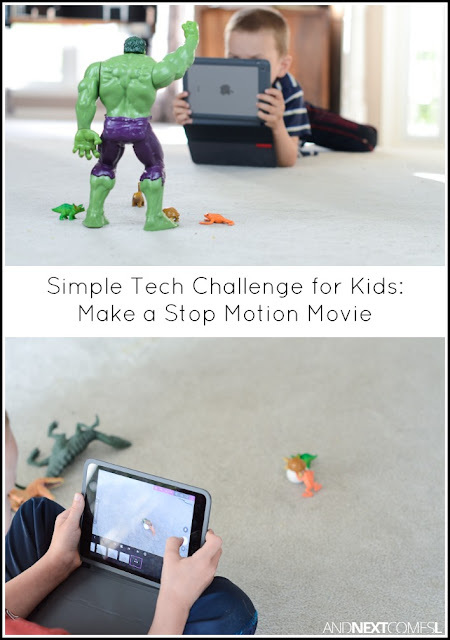 It all started innocently when they were watching some adorable Yarn Yoshi shorts on YouTube when my husband suggested that the kids try making their own stop motion videos. Of course, they were excited to give it a try! As long as you have an iPad, then this simple technology challenge for kids is totally free and, in no time, your kids will be showing off their proud creations! Getting started with stop motion is easy. We simply used what we already had on hand and downloaded a free app on my iPad. Then off the kids ran to make a variety of little movies. Basically we always just tried to incorporate his love of letters (and numbers!) into other activities and toys. For example, we would build letters out of LEGO bricks, Magna-Tiles, wooden blocks, craft sticks, cut up sponges, etc. Or we would use play dough to make letters and spell words. We used to draw chalk letters and drive cars along them like roads. You could also try doing alphabet scavenger hunts by asking him to look for objects that start with certain letters. Just be creative and use his interest in letters to entice him into other things instead of discouraging his letter play. One thing my son loved at that age in particular, besides the obvious alphabet toys, was the light table. He used to spend hours just playing at the light table.